Yoga on the Fly® is your ticket to traveling well.® We provide wireless headsets, yoga mats and iPads with easy to follow instructional videos in private mini-studios. 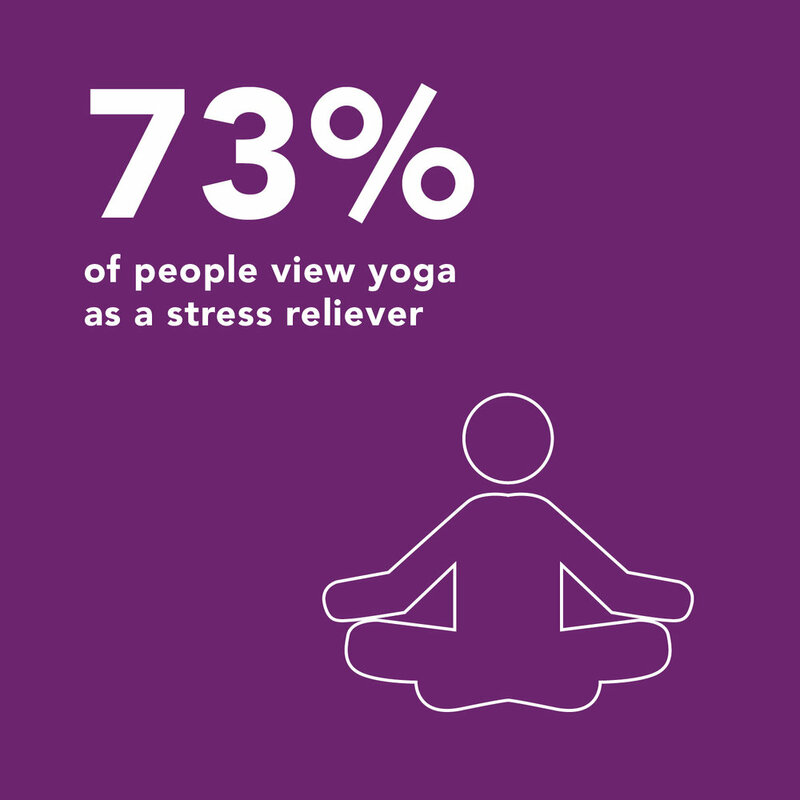 Our simple and efficient system alleviates stress, promotes health and increases wellbeing, using yoga and meditation practices targeted to the modern traveler. 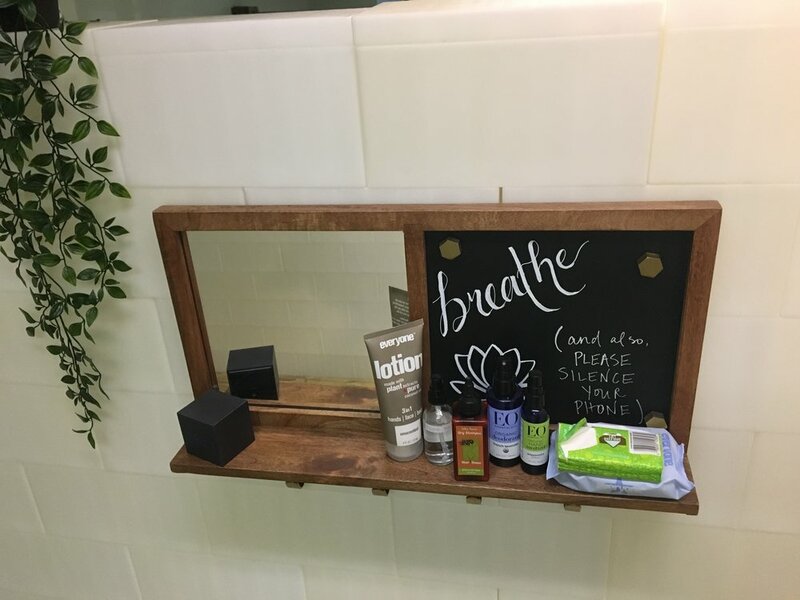 You no longer have to let delays, discomfort, and lack of healthy options in the airport get to you! Yoga on the Fly® helps you manage your frustration, exhaustion and idle time, ensuring tranquility even on a tumultuous travel day. Find us in your terminal! Our wellness advisors help you select short, guided, yoga, meditation and/or breathing experiences. 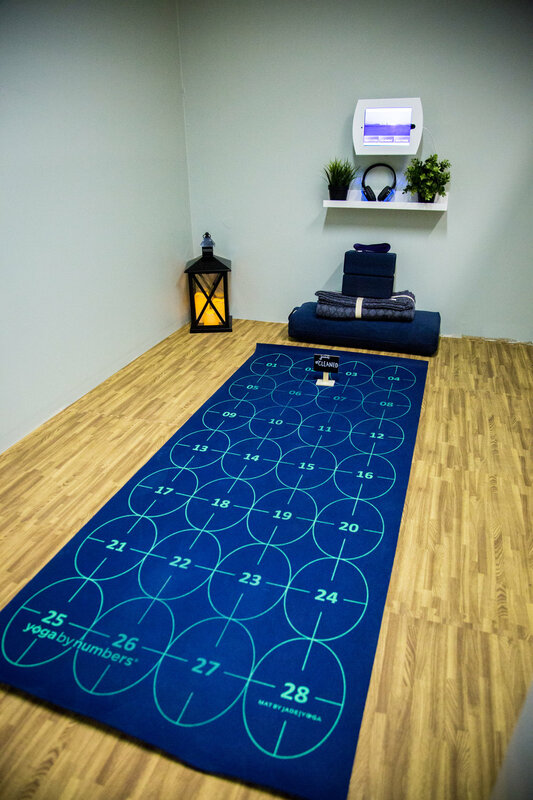 Reserve time in one of our fully outfitted mini-studios which include: Yoga by Numbers mat, wireless Sound Off™ headphones, yoga props, and iPad with accessible instructional videos. Escape to your own private mini-studio. 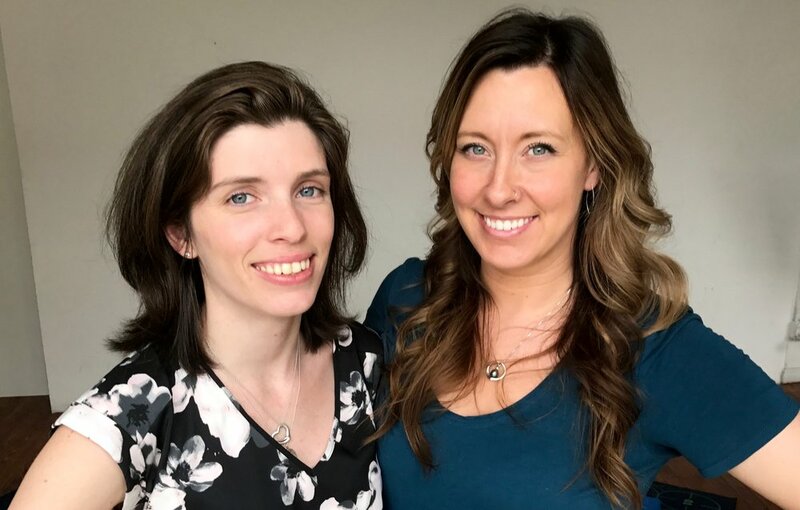 Elizabeth and Avery met while teaching yoga on a retreat in Nicaragua, and quickly discovered that while they both loved to travel, they emphatically did not love the adverse effects of air travel on body and mind. The two began to consider how yoga can be used to not only recuperate from travel but to preempt and prevent the physical and mental discomforts of flight before takeoff. 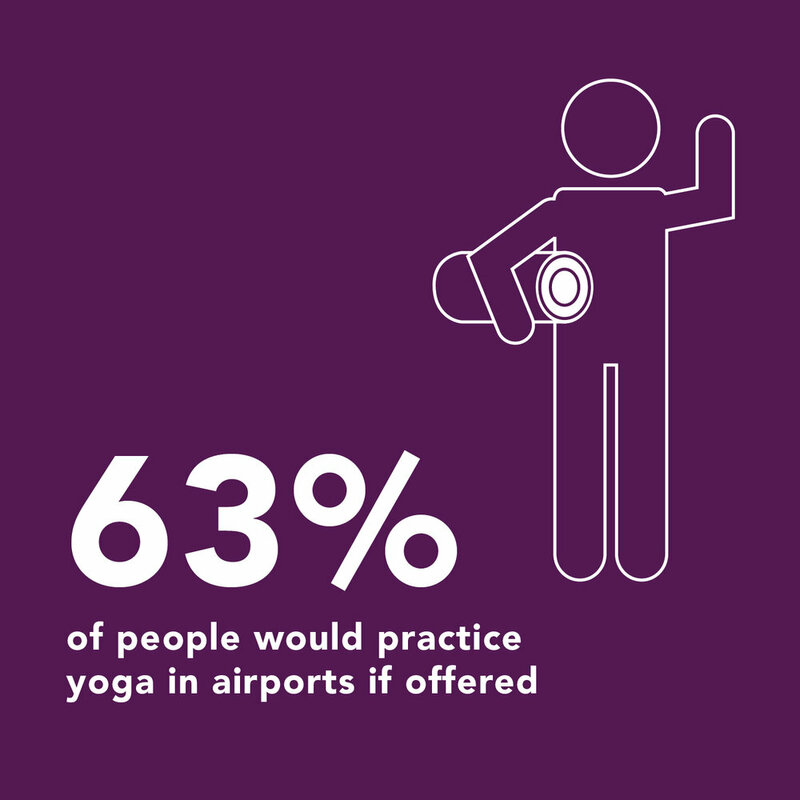 Exploring the endless benefits of yoga for weary travelers, they realized there is an opportunity to revolutionize health and wellness en route by offering guided yoga, meditation and breathwork in serene, private studios at airports around the world. And just like that, Yoga on the Fly® was born! With over a decade of teaching yoga and entrepreneurship between them, Elizabeth and Avery will bring Yoga on the Fly® to market Fall 2017 as Your Ticket to Traveling Well™. Interested in partnerships, licensing, or investment opportunities? And for all other inquiries, please fill out the form below.